The hero Byron used to fight demons… now he’s raising them! Byron already had his hands full looking after the Little Devils, but his workload increases when God herself asks Byron to take in a monster as well! 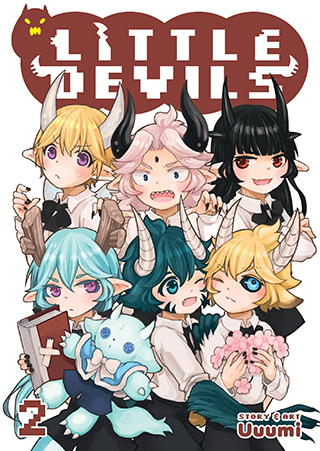 Can the Little Devils learn to play nice with their new pet?